"This is my seventh trip to the Indo-Pacific region since coming in 17 months ago," Mattis said on the way to Alaska, the first stop on the trip where he will visit a nearby U.S. missile defense base on Monday. Mattis will tour Eielson Air Force Base, a strategic air base in Alaska where up to 100 advanced fighter jets will be deployed as part of a shift in U.S. military forces toward the Asia Pacific. The retired Marine Corps general departed Joint Base Andrews Sunday afternoon aboard an E-4 nuclear command jet for the six-and-a-half-hour flight to Alaska. After Alaska, Mattis will travel to China, South Korea, and Japan. Mattis also will tour Fort Greely, home of U.S. ground-based midcourse defense antimissile interceptors, during the overnight stop. The talks in China are scheduled to begin Tuesday and will include discussions of North Korean denuclearization in the aftermath of the recent Singapore summit meeting between President Trump and Kim Jong Un. In South Korea, Mattis will consult with South Korean defense officials on the decision reached at the summit to suspend U.S.-South Korean military exercises pending the outcome of further nuclear talks with the North Koreans. In Japan, Mattis will meet with Japanese leaders to discuss Tokyo's concerns about regional missile threats from North Korea, as well as efforts to resolve the emotional issue of North Korean intelligence operations to abduct Japanese nationals and take them to North Korea during the 1970s. Chinese officials are expected to press Mattis on growing U.S. support for Taiwan and stepped up freedom of navigation operations by Navy warships and U.S. aircraft in and over the South China Sea. The Trump administration has been pressuring China over its illegal claims to control nearly all the South China Sea and areas of the East China Sea under ambiguous historical claims. On Taiwan, China has begun reasserting pressure on the island located 100 miles off the Chinese coast. Beijing regards the island as its territory and has vowed to retake it. Under the 1979 Taiwan Relations Act, the United States is obligated to defend Taiwan from any mainland attack. 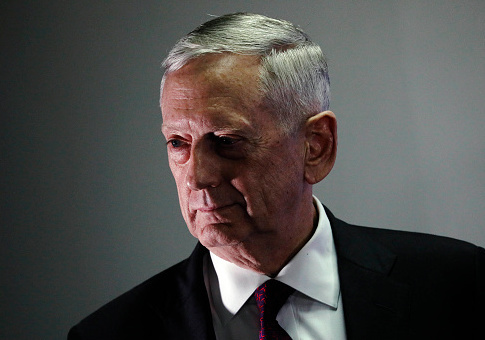 Mattis said the visit to China was prompted in part by the Pentagon's new defense strategy announced earlier this year that identifies China as a U.S. strategic competitor. The defense secretary said he plans to listen carefully to Chinese officials and gauge their outlook toward the United States during the talks. "Both our nations, and all nations we believe, in the Pacific, have an interest in a safe, secure, prosperous, and free Indo-Pacific region," Mattis said. This entry was posted in National Security and tagged China, James Mattis, Pentagon, Taiwan. Bookmark the permalink.